The Glass Onion Band is currently available to perform in Southwest Florida area. We are equipped to perform at venues both large and small, commercial establishments or private parties , indoors or outdoors. Call for bookings. If you have seen any of our shows we would love to hear from you to get your feedback. Based in FLorida in the Sarasota/Bradenton area, Glass Onion is dedicated to faithfully reproducing the songs of the Beatles. We use many of the same instruments and amplifiers to get that classic sound, including Rickenbacker, Gibson, and Epiphone guitars, Hofner bass, and Vox amplifiers. We play all the Beatles most loved classics as well as songs rarely performed by bands. This, plus a fantastic light show makes for an exciting event. The Glass Onion Band has been performing in public since August 2008. We are thrilled that so many fans have come back time and again to catch our shows. The Beatles are always an excellent draw and each performance has so far been to a packed house and an enthusiastic crowd. 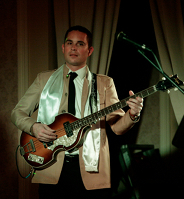 From 8-11 pm on the night of February 6th, Beatle tribute band “The Glass Onion” played a wide array of Fab Four songs to the crowd that filled the Lake Osprey Village Cabaret. “The Glass Onion Band” played their first show in the area about 18 months ago. Since that time, they have played at numerous locations in the Sarasota/Bradenton/Venice area. Their skills and repertoire have developed on a consistent basis since their initial performance. 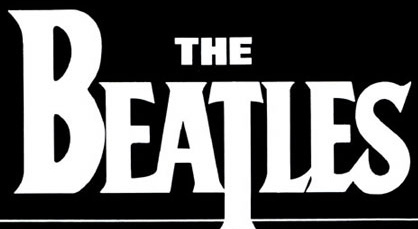 The show is an interesting mix of The Beatles big hits, plus a number of lesser known songs, or tunes that are well-known, but not often performed by tribute performers. 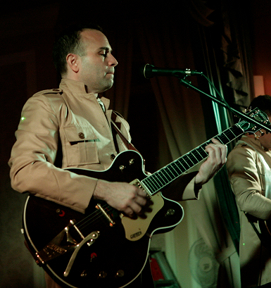 Unlike other bands, the group makes no real effort to mimic the Beatles personalities. It is mostly about the music, and the benefit goes to the listener. On this night, there were numerous musical highlights. The show is mostly done in chronological order, and the second half clearly showed the band’s overall talent. 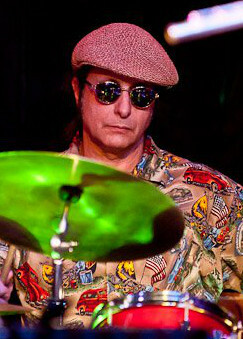 On “Rain,” the bass playing of Fred Rios was superb, complimenting the excellent drum work of Johnny McMillan. The lead guitar work of Steve Markovic was highly accurate all night, as his solos kept the songs authentic. 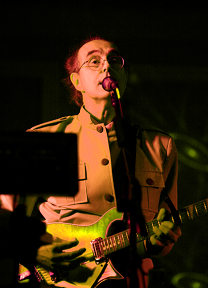 Musical director Robin Skinner handled many of the vocals, the keyboard and synthesizer portions of songs. His talent helps drive the group. The band plays mostly weekends throughout the Sarasota area. 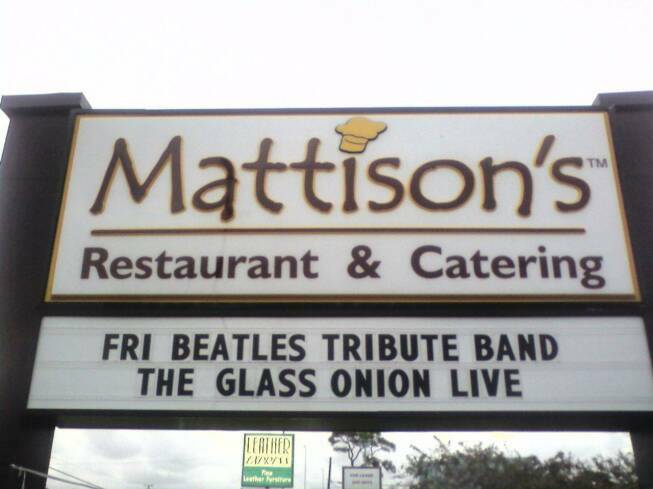 If you love The Beatles and are in the area, I suggest you check out theglassonionband.com, and find out when the band is performing.